We like to call this one the “Toddler Hot Tub.” One large sink area with no division. Dimensions are 31″ x 18″. 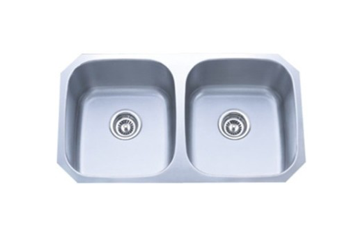 The small single sink is just smaller than the large at 23″ x 18″. This sink is divided 60% on one side and 40% on the other. The 60/40 option has the smaller section (40%) on the right hand side and the 40/60 has the smaller section on the left hand side. 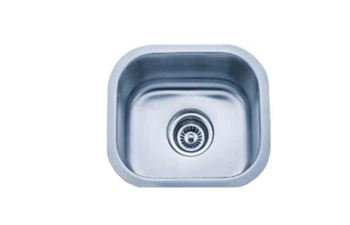 The 40% side of the sink is 7.5″ deep while the 60% side is 9″ deep. 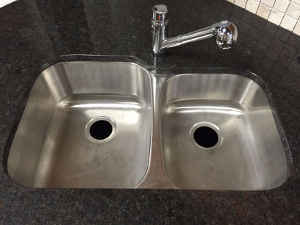 Just as it sounds, this sink is divided in half. 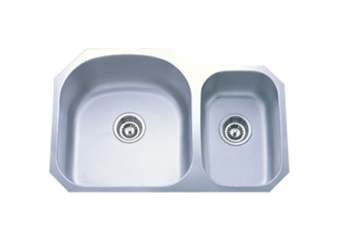 Both sides of the sink are the same size and depth. 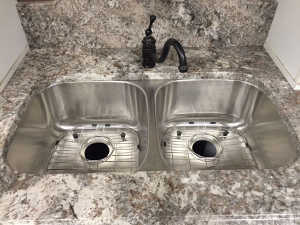 This sink is divided 70% on one side and 30% on the other. The 70/30 option has the smaller section (30%) on the right hand side and the 30/70 has the smaller section on the left hand side. 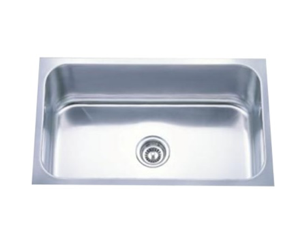 The 30% side of the sink is 7″ deep while the 70% side is 9″ deep. 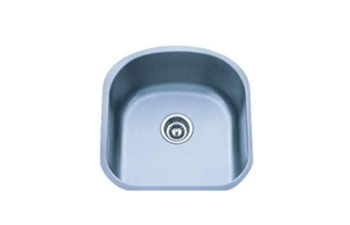 The following sink options are typically used in Bars, Apartments or anywhere you have a sink base smaller than 27″. 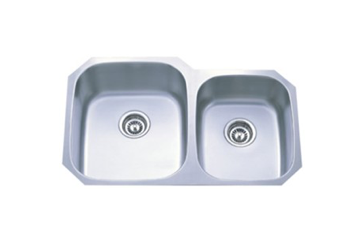 Large Bar Sink is 16″ x 14″. 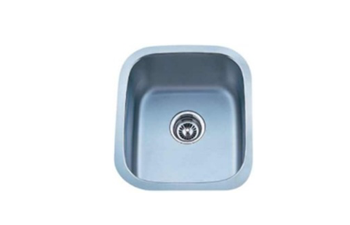 It is an under-mount, stainless steel sink. 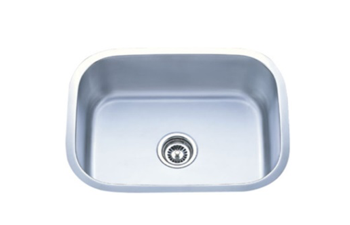 The Small Bar Sink is 13″ x 11″. 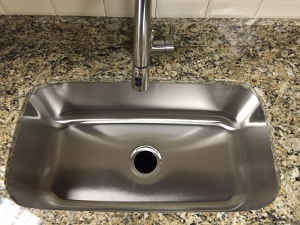 The D-Shaped Bar sink is deeper from front to back than the other bar sink options. 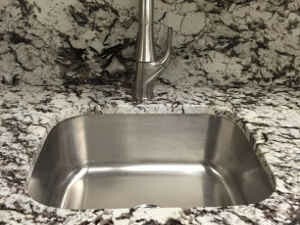 We guarantee installation of your countertops within 2 weeks of your template.